This blog contains information for those startups who have made up their mind to create an app for home security devices. 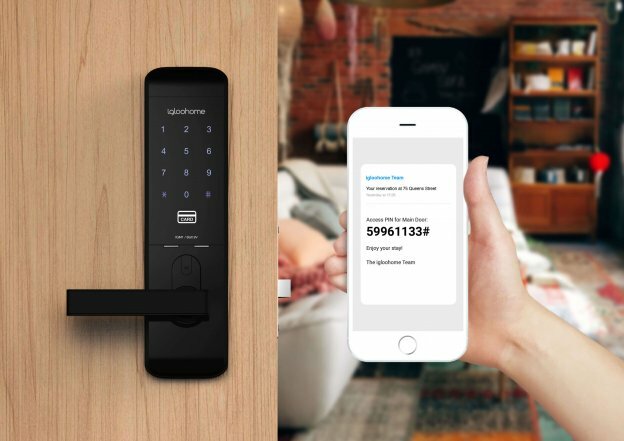 Herein, we’ve rounded up top features of Singapore-based startup, the smart lock maker – Igloohome (an official partner with Airbnb). Let’s have a look! The word ‘security’ is one of the major concerns. And, so-called ‘smart locks’ seems everywhere now. With a good reason, the app for the smart lock has replaced the physical key. It is also not surprising that the smartphone app for smart lock device has ditched the piece of the key. The combination of smart locks and its app has completely replaced the front door deadbolt. Most of the smart locks allow to receiving alerts and track who is entering and leaving the home. If we’re talking about the smart lock devices, then we can’t forget to mention here the Singapore-based startup, Igloohome, a smart lock maker. 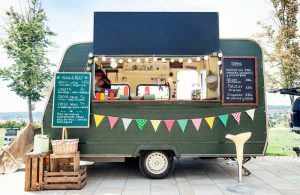 Recently, “The startup company has secured $4M in Series A funding that led by Insignia Ventures, the new firm started by ex-Sequoia venture partner Yinglan Tan”, according to TechCrunch report. The Singapore-based company is a rare example of a hardware startup, which is coming out of Southeast Asia with the global presence. 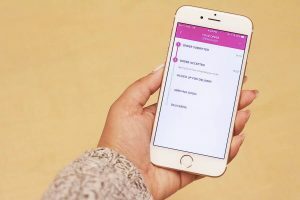 Founded in 2016, the startup has already matured in a short span of time as it has created smart access solutions, which help its users conveniently manage their homes and property remotely through a mobile app, along with the smart devices like Smart Mortise Lock, Smart Deadbolt, and Smart Keybox. Global Partners: Airbnb (An American company, which operates an online marketplace and hospitality service), HomeAway (The U.S. based vacation rental marketplace), and China’s Xiaozhu. Launched The World’s First Smart Lockbox: The company launched the world’s first smart lockbox, which works offline – the Smart Keybox. Awards: Igloohome received many prestigious awards, including CES Asia Innovation Awards 2017: Honoree (IOt), Singapore Infocomm Technology Federation Best Innovation Infocomm Product/Solution: IoT (Gold Winner). In the below image, you can see the growth stats of Igloohome mobile app by SimilarWeb. Google Trends: It keeps growing since its emergence that you can check in the below image. The startup company, Igloohome came up with the smart solution for renting purpose. So, talking about its first feature, which allows users to provide access to keys by sharing PIN to them. 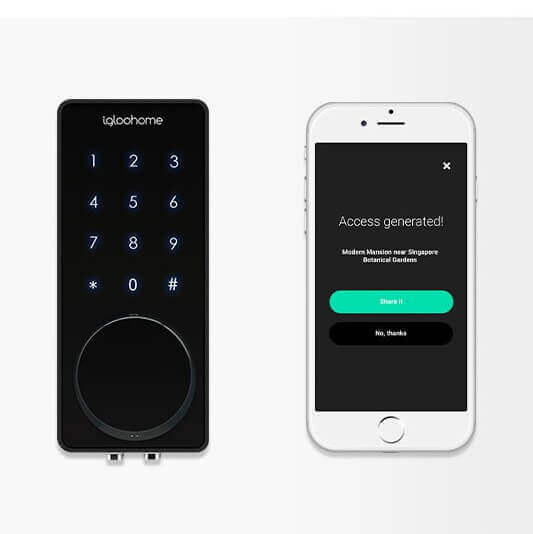 The smart lock of Igloohome uses an eight-digit PIN code, which can be generated by the Igloohome mobile application. The PIN code needs to be entered into the keypad of the device, smart lock. In the alternative method, the Bluetooth key on the app can be used to unlock the device. On the other hand, in case of emergencies, the smart lock still has a traditional keyhole that can be unlocked by a physical key. However, this feature is completely secured, and app users (owners of the house) can provide the access to only those people, whom they want. Well, on a fundamental level, with such feature, users can create multiple access for other users. Bottom Line: In order to offer beyond this feature, you can allow users to access some additional features like filters, check validity, and create the new key option. This smart solution is beneficial for the hospitality industry and landlords. With this seamless solution, you can provide your customers with a peace of mind with smart lock mobile app. With this feature, users can check the history of activity logs within the app so far. It also provides the information, including the date and time and how many times the user has unlocked the house. For security purpose, this is one of the important features, which you can consider before developing an app like igloohome. Igloohome is based on the idea of making home sharing easier. The next feature allows users to go keyless with the complete peace of mind. This hassle-free feature allows users to select the multiple smart locks. However, this feature lets users choose multiple smart locks or products, and they can monitor them at any time anywhere. This smart lock app for android is basically designed for rental homes and hotels. Additionally, it also makes check-ins and check-outs easier for users and their guests. 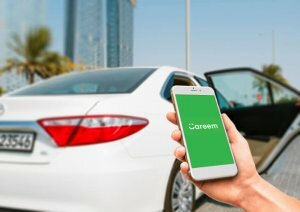 The next feature allows app users to manage their smart locks or key boxes and send a PIN code or Bluetooth key to anyone through email/SMS/WhatsApp and other communication platforms for the time period, which the user select. Also, the app users can allow their guests into an empty apartment and change the code before the next stay. The code can be easily changed through an app. Thus, this feature also allows users to send or share PIN code or Bluetooth key through an email, WhatsApp, and other communication platforms. In short, with all these handy features within the app, there will be no more fuss over key exchanges and missing/lost keys ever again. If you are in the hospitality industry or owner of the various rented homes, then this smart lock solution with smart lock application can be the right choice. The above-mentioned features are essential, which you can consider to develop a successful smart lock app like Igloohome. 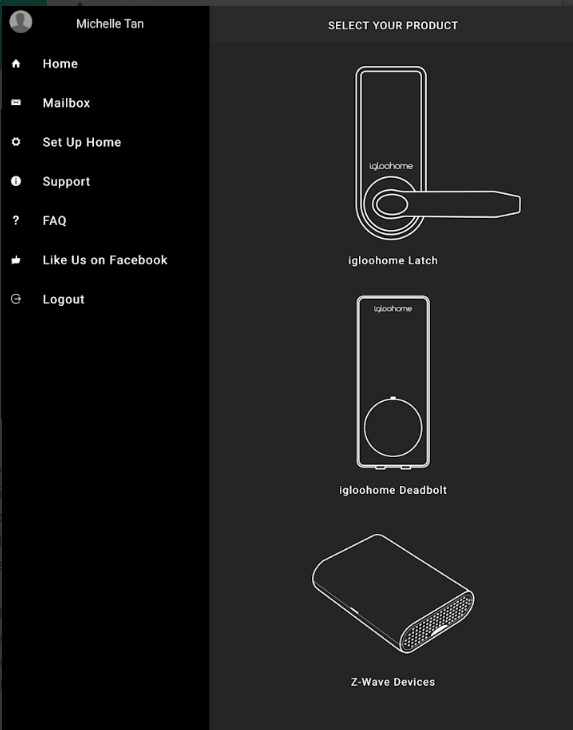 Should You Really Bother to Creating an App for Smart Lock like Igloohome? Indeed! The smart home technology is now a multi-billion dollar market, which is poised for the rapid growth over the next few years. Home security is one of the main drivers behind the market’s growth. 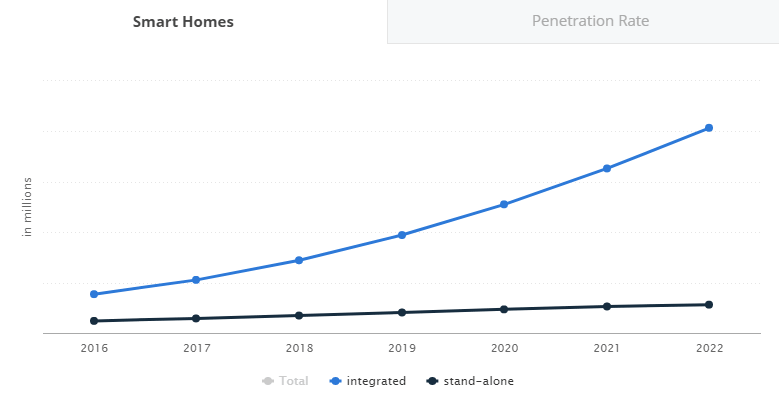 As per the report from Statista, “Americans are more keen on smart home security”. However, it is also expected that smart security solutions like connected cameras, locks or motion detectors will become the largest segment of the United States’ Smart Home market. 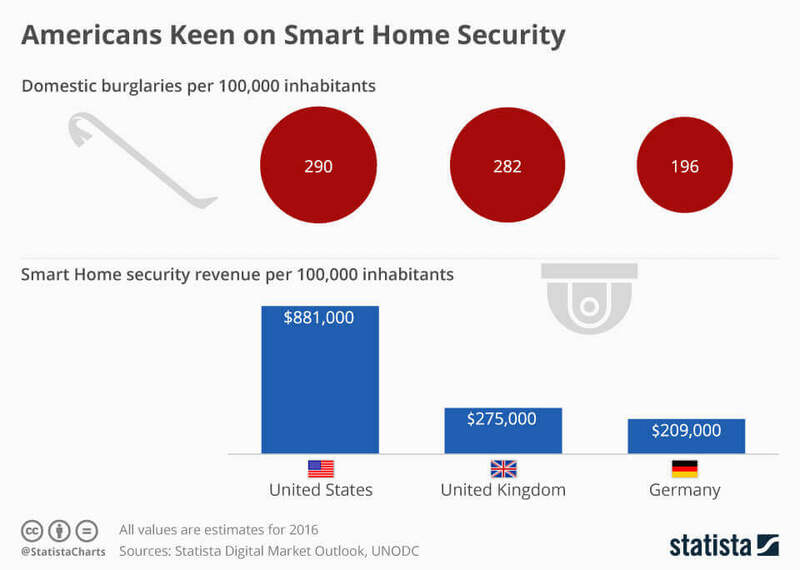 The below chart illustrates that Americans are spending more money on Smart home security solutions as compared to the UK and Germany. In the below-given graph, you can see the growth of users, who are accessing smart locks. In the security segment, the number of active households is expected to amount to 115.8M by 2022. The smart lock industry is booming. If we are talking about the forecast, then as per the report, “The revenue of security segment is expected to show an annual growth rate (CAGR 2018-2022) of 24%, and the resulting volume of US$23,725M in 2022”. However, it will be increased. In a nutshell, it is safe to say that we are also in the camp of smart lock app development like other niches. 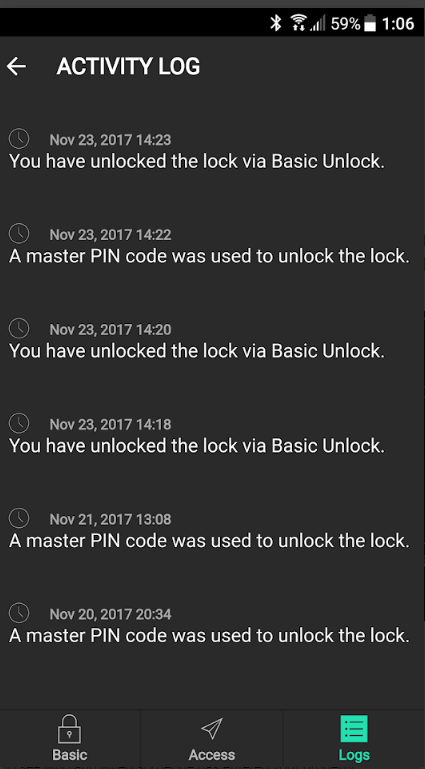 However, all these points are directly pointing towards it is high time to create a secure lock app for the smart lock. 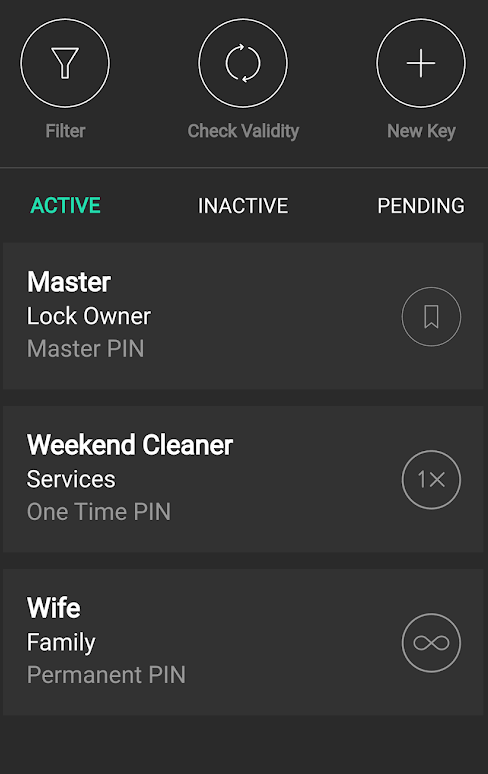 The smart lock apps in android have totally transformed home security. 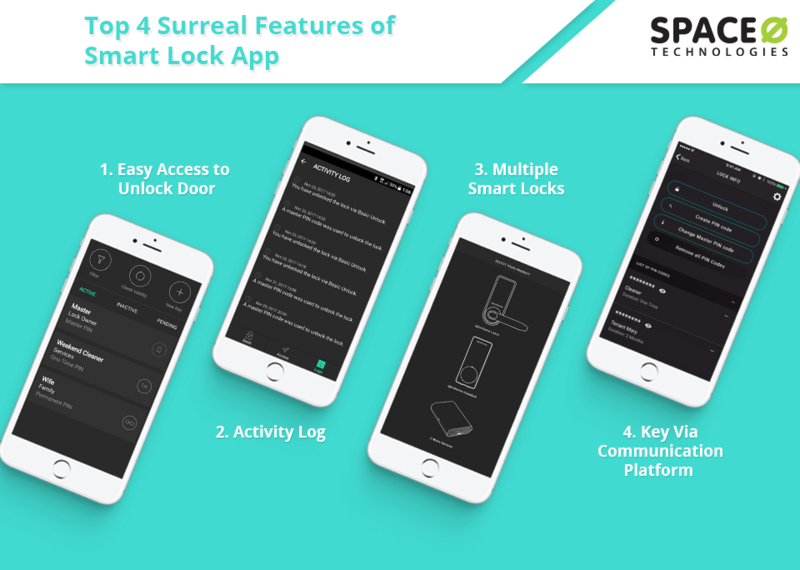 Moreover, the smart lock app does not only provide handy features, but it also provides security with mental peace to users. However, being a startup in the home industry, if you are planning to create a smart lock app for home, then you might have questions regarding IoT app development, then you can get in touch with us as we are a leading Android app development company. We will get back to you as soon as possible. The consultation is absolutely free of cost. This page was last edited on February 21st, 2019, at 0:57.